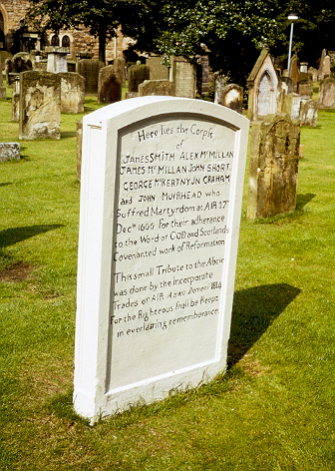 This page lists various associations the parish of Ayr has with the Covenanters. Ayr is a large town on the Firth of Clyde, and is the county town of Ayrshire. Located in the Carnegie Library, Main Street.